Good news, Nvidia Shield TV users: Today you can turn your set-top box into a SmartThings Hub for smart-home devices on the cheap. SmartThings.com is selling the SmartThings Link for $10 with the coupon code SHIELDLINK. That's $30 off the MSRP for this new device, which only recently started shipping. The sale lasts until November 5, or as long as supplies last. The SmartThings Link is meant to be a more affordable alternative to a standard SmartThings Hub, which is a small box that runs close to $80. The Link, on the other hand, is a $40 USB dongle that combines with the Nvidia Shield to become a SmartThings Hub. Once it's in action, the Link allows you to control a host of smart-home equipment from a single smartphone app. You can also configure Google Home and Alexa-powered speakers to control smart-home devices via the SmartThings Link. The Link is relatively new, but Android Police and Hot Hardware recently published hands-on looks at the device. They both appeared to like it, though there was a common complaint: The Link requires one Shield TV USB port, and the connector is fat enough that it blocks the other port. To get around this, Samsung includes a USB extension cord so you don't have to plug the Link directly into your set-top box. 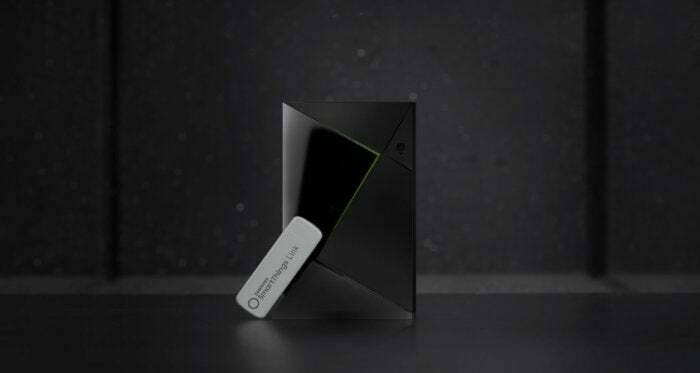 In addition to acting as a SmartThings Hub, the Nvidia Shield TV is just an awesome media streamer for tech lovers. 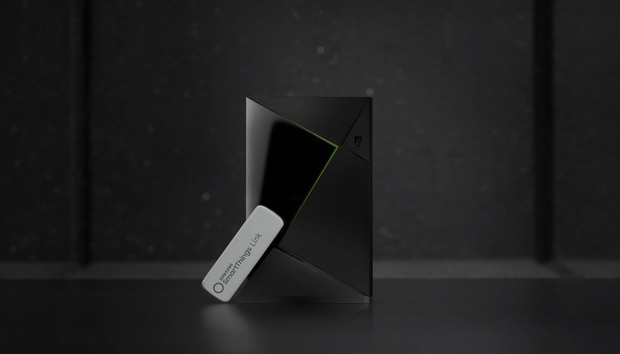 Check out our detailed look at the Shield TV bundle to see why, from its Plex server support to built-in Chromecast functionality, and the ability to stream PC games to your living room.